To be able to find most of the food I’m familiar with. Check, but sometimes things differed slightly. To get an American type milkshake in Australia you have to order a thick shake, tater tots are called potato gems, the list goes on. To feel homesick anyway, in part because I’ll… Definitely check. Find the landscape noticeably different from the US It wasn’t as different as I thought actually. Along the coasts, the landscape is fairly similar. The biggest difference is the trees. 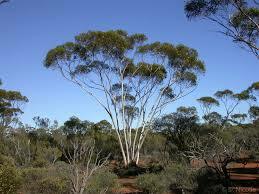 Eucalypts look quite different from American trees because they drop their lower branches as they grow. Learn how much residential college life is like US Greek life Check obviously. I understand where the comparison comes from, but I think it’s apples and oranges. To take some of the best classes of my student life Extreme check. I was blown away by the quality and depth of the zoology courses I took. I’ve just re-read all my old blog posts (both published and those only partially finished). It was a great reminder of what a crazy adventure this has been. I almost forgot about the beginning rush of excitement of coming to a new country because Australia has become such a home to me. It was easy to gloss over the homesickness and culture shock when I’ve gotten so used to being in Melbourne. I lost track of how much I’ve grown because it happened slowly over a long period. I think that’s what worries me about going home – that I won’t fit in as well as I used to. It scares me even more though that I may just slide back into my old role and the different person I became will disappear. I don’t want to forget how beautiful, amazing, meaningful, life-changing and fun my semester abroad was. I don’t think I will, especially since I have so many fantastic new friends to remind me of it for the rest of my life. So to end this, I just want to say thank you. Thank you to everyone who made this semester possible for me, who supported me and who made this semester the wonderful experience that it was. I can never express properly how much this has meant to me. This entry was posted in Uncategorized on June 29, 2016 by Miranda Huang. I just said my first two goodbyes. While people going home isn’t a big deal for most students at UC, for me it means admitting that I may never see them again. It’s funny because I remember trying to prevent this early on. In the first couple months I kept a careful distance between other people and me. I made friends, but I stayed very conscious of my imminent departures and tried not to get too attached. 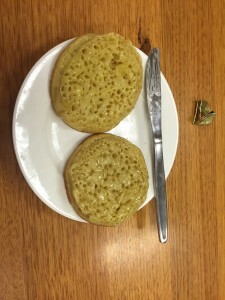 I’m also going to miss my new favorite breakfast item – crumpets! Unsurprisingly though, it didn’t work. Even people I’m not incredibly close to have become of my world here — from the party animals I always see getting ready for a night out to my O-Week leaders to the guy who serves me dinner every night. It wouldn’t have mattered what I did because routine is comforting and losing my routine is unsettling. But yes, I’m going back home to where my longer-running routine is. That makes it less scary, but things have changed there. My friends have had a semester of experiences without me, my parents have settled more into a house and city that is still new to me and, most alarmingly, my boyfriend has graduated. I don’t know what I’m going to home to, but I do know what I have here and it’s a blast. How do I leave it? the city that is an endless source of entertainment? 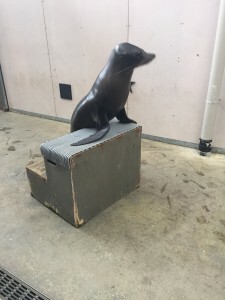 the university that has given me more zoological experience in a semester than Whitman has in over two years? the college that has taught me more about myself than I ever expected? the people who took me in, showed me around and made me drop the walls I put up to protect myself from missing anyone after I leave? I don’t know, but I know I have to. And I do want to on some levels. I’m looking forward to going home and having an amazing senior year, but the jokes about coming back for graduate school are feeling less and less like jokes every time they come up. I don’t know if I’m serious about it or if it’s just a way to make leaving easier, but I certainly didn’t anticipate becoming this attached to everything here. So here’s where the last part of my ridiculously long title comes in. I used to dismiss selfies, but anyone who’s been paying attention has noticed quite a few of them within my posts. I get them now. For every time you don’t want to ask the waiter stop his work a take of picture of you or try and flag down another tourist and trust them to take a decent photo, selfies are the answer. Better yet, it’s fun to laugh over the challenge of fitting everything and everyone in. 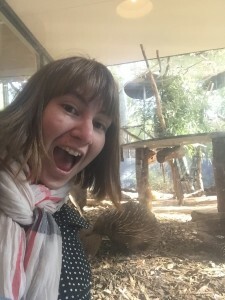 Traveling in Australia has been amazing, but the experience has been just as much, if not more, about the people I was with than the places I saw. Photos of the scenery and wildlife are great, but they don’t capture the experience. I’d much rather have a photo with only a little bit of the place as long as it includes my traveling companions and me. That’s how I think I’m going to remember Australia — a little bit of all the amazing sights I saw, but mostly all the people I saw it with. Two weeks from now until I land in the States. I’m ready to go, but I’m not ready to say goodbye — especially if it’s goodbye forever. I hope it won’t be. This entry was posted in Uncategorized on June 11, 2016 by Miranda Huang. The longer I’m in college, the more I realize that I love exam time. Don’t get me wrong, it is stressful and intense. I’m not trying to say I’m like those stereotypic nerds TV loves to depict as enjoying nothing more than studying. I just love everything that comes with exams. Suddenly clothing goes from a fashion statement to everyone wearing whatever is comfiest. It goes from jeans and nice shirts to sweatpants and blankets. 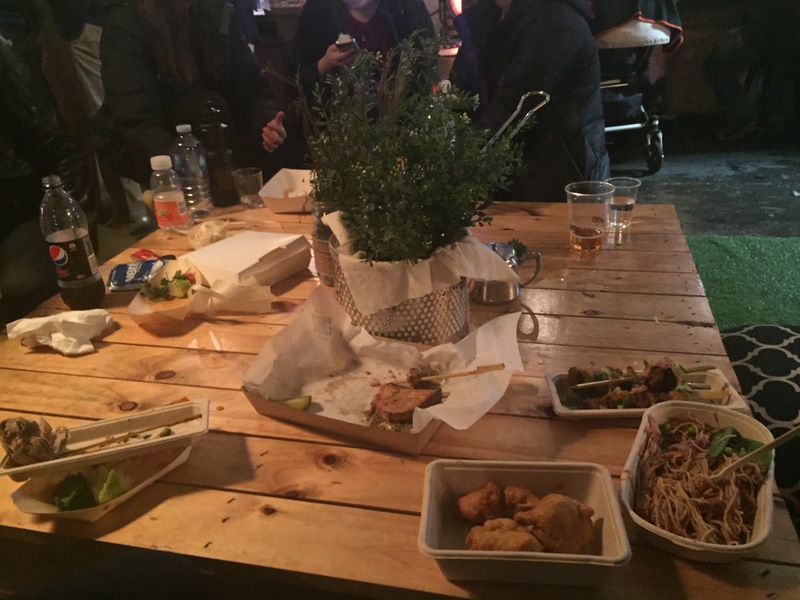 There’s also junk food everywhere. People need that sugar rush to help them power through and I’m a big fan of eating candy, cookies and other desserts all week long. The best part for me though is how people change. Somehow amidst the stress, lack of sleep and malnutrition people get friendlier. This is the magic of exam time. 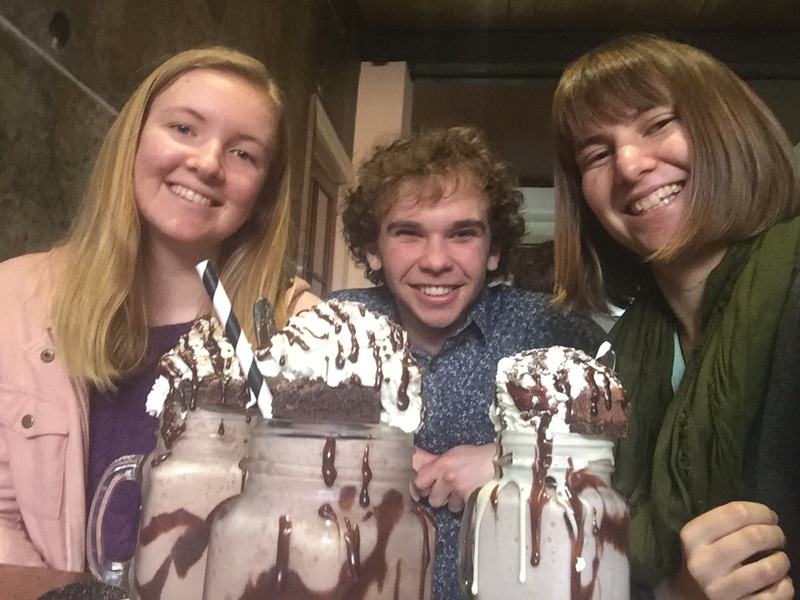 This is the time of wishing each other good luck, helping classmates with difficult concepts and spending hours talking in the dining hall to avoid work for just a little bit longer. I’m glad to have found that same sense of community that I love about Whitman at University College too. Exams are quite different at the University of Melbourne. For the most part they are two hours long like at Whitman, but these are worth 50% or more of the final grade. The strong effect these tests have on my grade would stress me out more if I didn’t have insane amount of time to study. The University of Melbourne gives an entire week off to study (it’s called SWOT VAC – Study WithOut Teaching Vacation) and then exams are spread out over the course of three weeks. I happened to end up with one exam a week meaning that I have seven plus days between each exam to prepare. What a change from one dead day before a single week of exams! The other students here think the reason the abroad students are so relaxed right now is that we’re not worried about finals since it’s all pass/fail for us. For me (and I think many of the others) we’ve just never had this much time to study. I personally don’t quite know what to do with it especially since my classes are basically just understanding and retaining concepts, many of which I’ve learned before. 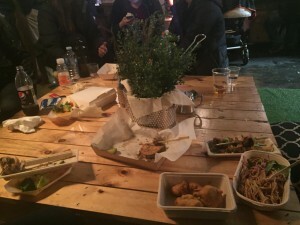 Vegetarian and Vegan Food Truck Night (where I ate amazing “chicken” satay) and roadtrips. With two and a half weeks left there’s still so much to see and I’m thankful for the extra time to spend with my friends here before I have to say goodbye. 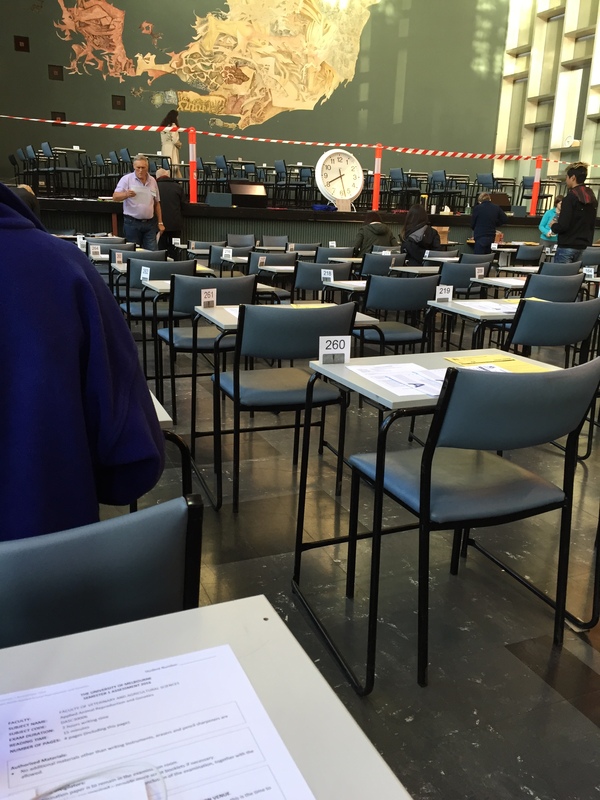 Before I wrap up, I would be remiss if I didn’t talk a bit about the actual exam process in this post. 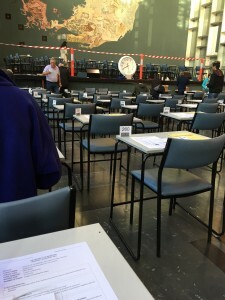 Exams at UniMelb are hosted in huge buildings with hundreds of students from a variety of different classes taking their tests all at once. You may only bring in pencils, erasers, clear water bottles and sometimes calculators. Phones (switched off), wallets and keys can be brought in as well, but must be stored under the desk. Watches have to be removed and placed in a plastic bag on your desk. You sit at the desk number assigned to you (I was 274) and place your student ID card in the top corner so they know it’s really you taking the exam. Over the 2 hours of test taking and 15 minutes of reading time, proctors will roam through the aisles spot checking calculators, examining student IDs and collecting our signed forms that promise we won’t cheat. They also placed clocks everywhere — I counted 5 visible from my seat. I don’t think I’ve ever been in a room with that many people (at least 400) that was also so silent. It felt a lot like being back in high school taking standardize tests. It was interesting the first time, but I’m not sure I’d enjoy this set up every time. I better get back to work now. I have one essay and two more exams left. So close! This entry was posted in Uncategorized on June 8, 2016 by Miranda Huang.